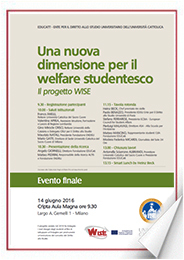 In June 14th, 2016 a presentation of the results of the WISE international project – Welfare for Improved Social Dimension of Education was held at the seat of Università Cattolica in Milan. The first multiplier event was carried out by EDUCatt, the Project Leader, with the aim of presenting the final finetuned version of the WISE model and valorising and promoting the results of the project. The conference described the project, the partnership (and its collaborative spirit! 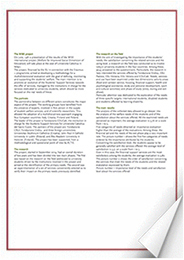 ), the methodology on which the research was based. The meeting focused on the results of the research, the Test and Validation Phase and the main outcomes, that is the WISE model and the advantages that its embedding into the University services will mean for all students, their family and the staff. There were 126 people participating, among them Rectors from various Italian universities and Representatives from Institutions and foreign Organizations. Among the guests and speakers in the panel discussion there were a Representative of The Lombardy Student Support Services and the 3-star Michelin Chef Heinz Beck, widely known throughout Italy and Europe as a notable master of modern gastronomy. Live tweeting at the conference: real-time tweets. Before the event the Organizer got in touch with the partners’ profiles on Twitter in order to create more bonding among interested parties and to let the followers know that the conference would have been tweeted live. During the meeting the most interesting ideas and quotes have been tweeted live to engage and inform followers but also to try to look out for comments (to retweet, favorite and reply to), questions to answer and feedback to address. The conference introduced two main hashtags: #WISEprojectEU and #studentsWelfare. 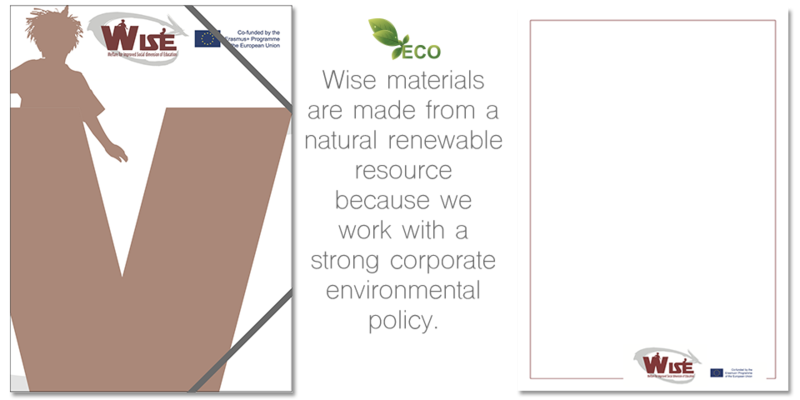 WISE project takes seriously the responsibility for environmental stewardship and believes that we must play a constructive role in helping to address environmental challenges, therefore for events, we used paper from 100% renewable.